Classic comedy about two 13-year-old identical twins (both played by Hayley Mills), who meet for the very first time in summer camp. 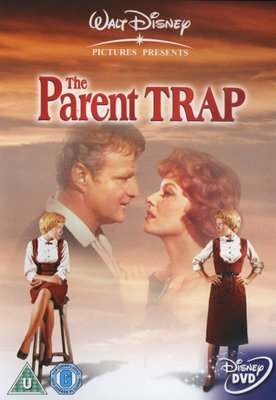 They soon learn that they were separated at a very early age when their parents Mitch (Brian Keith) and Margaret (Maureen O'Hara) divorced. On a lark, the twins switch places: the one living with Keith goes back home with O'Hara, and vice versa. Keith is planning to remarry the 'wrong woman', vituperative Vicky (Joanna Barnes). The twins conspire to reunite their parents, but the road to reconciliation is rough indeed.